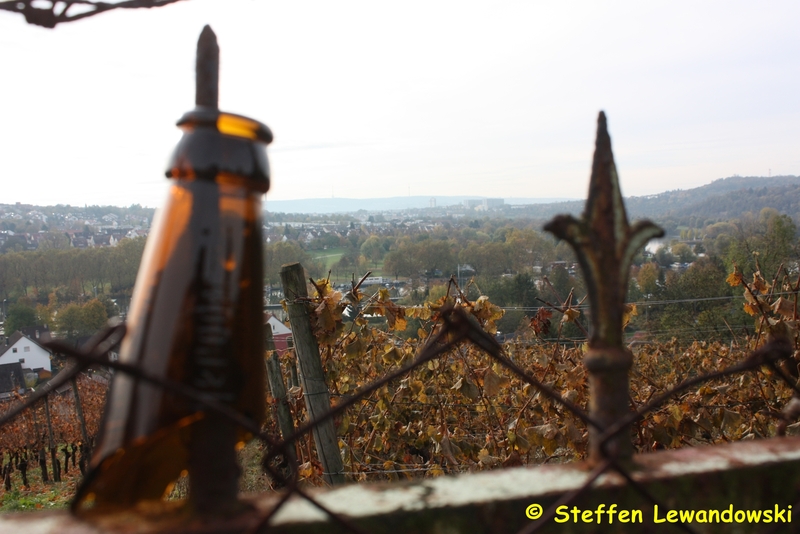 View over a vineyard’s fence towards the TV tower. The broken bottle has caught my eye. Photo was made by myself on 2012-11-01. 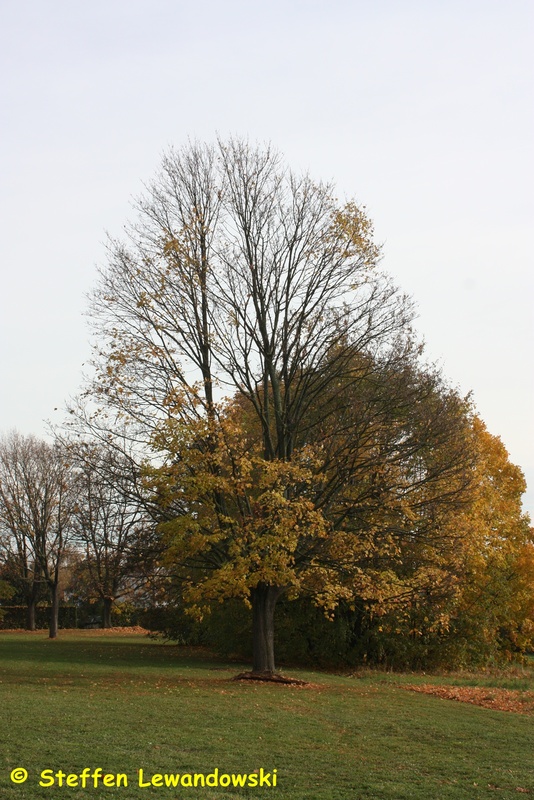 The tree is nearly defoliated.